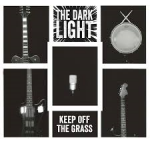 Share the post "Quick plays: THE DARK LIGHT, MOOD GROOVE, GREG RUSSELL & CIARAN ALGAR"
The Dark Light formed in 2015 and this is their debut album with a line-up consisting of Gerrard Edwards (vocals), Henning Brand (drums), Roberto Cicorella (guitars), Sonny Moylan (guitars) and Marco Simoncelli (guitars). All the songs bar one are written by Gerrard and Marco. 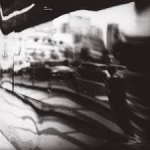 Mood Groove is a little something different from JK Northrup and indeed Escape Music. Formed by JK Northrup (Gypsy Soul/King Kobra/XYZ) and Ed Balldinger they wanted to make music outside of their usual musical boxes and it encompasses rock, funk, psychedelic, soul, blues and gospel. 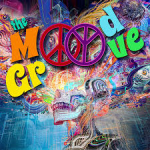 Mood Groove also features 3/4 of Gypsy Soul (Escape Music released that album last year), with Northrup joined by fellow Gypsy Soul members bassist Larry Hart (King Kobra/Montrose) and drummer Glen Hicks. They do heavy funk rock on ‘Funk Soul Sister’ and ‘Launching Pad’, which allow JK Northrup chance to let fly on his guitar. Elsewhere it is a real mish mash of styles with the frankly bizarre ‘We Are The Mushroom Men’ – like Frank Zappa jamming with the Beatles – and the blues/gospel pastiche on ‘Stone Dead Man’. 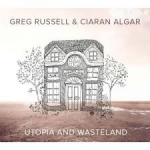 Greg Russell (vocals, acoustic guitar) and Ciaran Algar (violin, banjo, guitar, bodhran, vocals) are a very talented, young duo who have also released their own solo works. In addition Algar is a member of Sam Kelly & the Lost Boys and Ciaran on the folk opera the Transports. This is the duo’s fourth album together (they are not even in their mid-20′s yet!) and is an enticing mix of traditional folk with a modern flavour in the lyrics. Algar’s violin playing is sublime on the instrumental ‘Warwick Road’, whilst Russell has a timeless folk singing voice way ahead of his years. Listen to the moving vocal on ‘Lock Keeper’ for proof. Highlights include ‘Walter’ which tells the story of Walter Tull, a footballer who was one of Britain’s first mixed-race professional sportsmen, and who died in action in World War 1 in 1918. Also the jaunty jig ’The Moving Cloud’, again another showcase for Algar’s playing, both on violin and bodhran. Benjamin Lazar Davis is a Brooklyn based multi-instrumentalist who has worked with Cuddle Magic and Joan As A Police Woman amongst others. 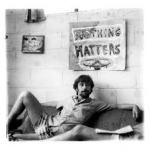 ‘Nothing Matters’ is his debut solo album and he performs all the music on here, although he does work with outside writers for a number of co-writes on the album. Musically Benjamin Lazar Davis has a lovely, melodious singing voice reminiscent of the mighty Mercury Rev, both in vocals and the lush music on offer here. ‘A Love Song Seven Ways’ is a perfect piece of mellow pop, totally gorgeous and catchy. ‘Life Is Dangerous’ is more upbeat with a driving drumbeat, whilst ‘Somebody’s Speaking For Me’ and the title track will appeal to lovers of acoustic led tunes. This entry was posted in ALBUM REVIEWS, ALBUM REVIEWS (Mobile), All Posts, Quick Plays and tagged album, alternative, Benjamin Lazar Davis, folk, funk, Greg Russell & Ciaran Algar, In Transit, JK Northrup, Keep Off The Grass, melodic, Mood Groove, review, rock, the Amazing, the Dark Light, Utopia and Wasteland. Bookmark the permalink.